A generation before Monet painted Impression: Sunrise, unintentionally lending the French Impressionists their name, the eccentric English landscape and maritime artist Joseph Mallord William Turner left romanticism behind to create profoundly impressionistic works of light, motion, and atmosphere. Though known only in Britain during his lifetime—and confounding many of his admirers with those later works—Turner is revered today as a singularly prescient artist, seeking to capture the breathless pace of modernity itself. 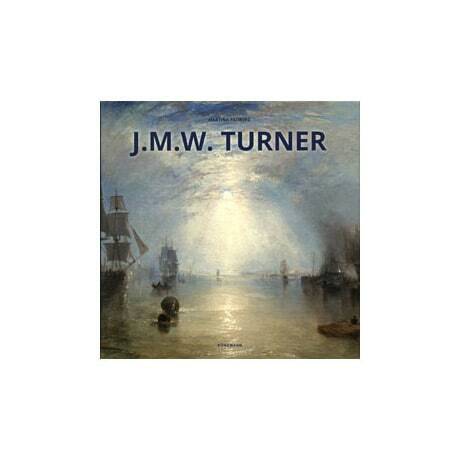 Boasting outstanding color reproductions on nearly every page, this affordable art book is quite compact (measuring just under 7½ inches square), yet offers a surprisingly wide-ranging survey of the full span of Turner's work, with an introductory essay, titles, and captions in six languages.